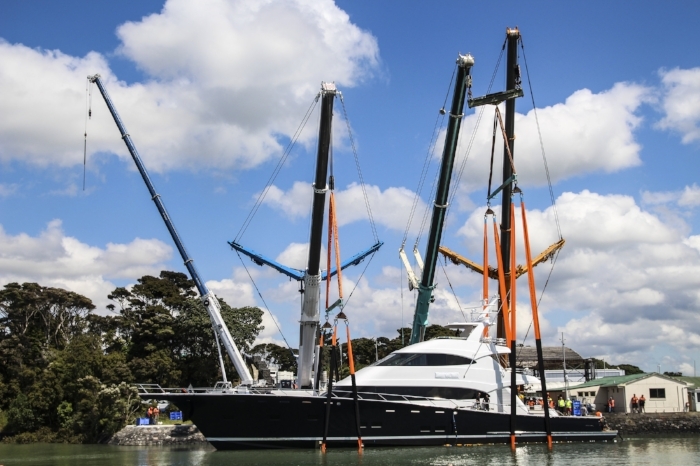 This impressive yacht is the world’s largest all-carbon sportsfisher and is on a scale unseen before for this style of yacht. Built for a highly experienced owner, who is a passionate fisherman, Hull 1015 combines luxury styling with exceptional performance capabilities and speed and an impressive all- inclusive fishing setup that will allow her to undertake extended fishing trips. 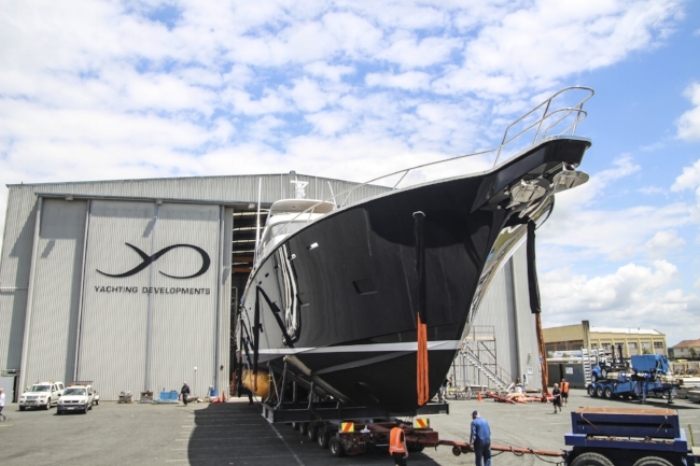 “As a fishing and diving platform the vessel is truly enormous, and she incorporates everything expected of a sizable motoryacht in a sleek sportfisherman’s profile,” says Chris Critchett of MPYD. “The substantial scale also allowed for commercial-grade power and systems along with the latest in gyro stabilisation to ensure comfort and performance for many years to come." Hull 1015 spans four decks, with accommodation for 10 guests – a large master suite, VIP, double and twin with Pullmans – and six crew. She features a contemporary classic styled interior that has been tailored to family living. Plentiful onboard spaces include the large main saloon and adjoining galleyon the main deck, leading out to the mezzanine cockpit, the bridge saloon and helm with the connecting aft bridge deck, and the flybridge. Guest accommodation is located on the lower deck, with the master cabin midships, VIP forward, a double to port and a twin with two Pullmans to starboard. Other spaces include a games room on the lower deck. 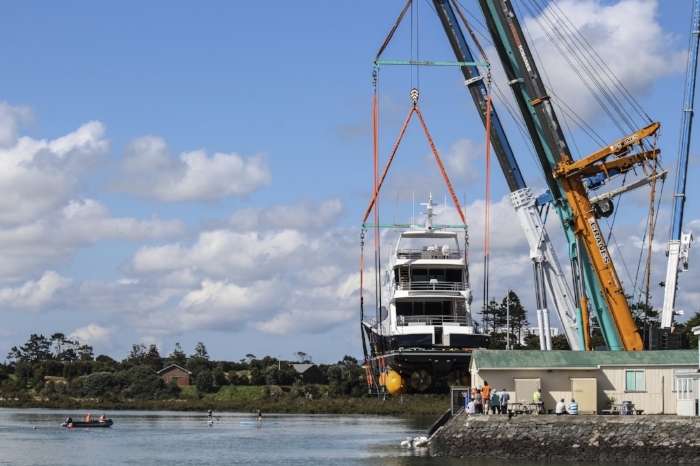 Hull 1015’s two Smuggler tenders are stored on the forward deck when not in use, with a crane for easy launching. The yacht boasts exceptional seagoing qualities, and carries a VEEM gyrostabiliser, that will allow her to venture out in all conditions.